Ecofish was selected by Laich-Kwil-Tach Environmental Assessments Limited Partnership (LKT) in Campbell River to support them to deliver BC Hydro’s Campbell River System Water Use Plan (WUP) monitoring programs. A Water Use Plan is a technical document that, once reviewed by provincial and federal agencies and accepted by the provincial Comptroller of Water Rights, defines how water control facilities will be operated for a given water system. 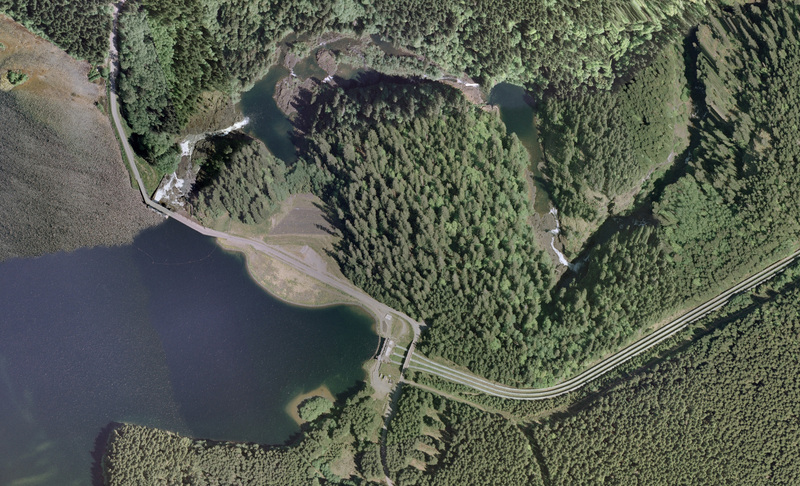 John Hart Lake Reservoir, John Hart Dam and John Hart Generating Station. In 2012, BC Hydro implemented the Campbell River WUP, including a number of changes to current operations of the Campbell River System. These changes are expected to positively affect fisheries and wildlife habitat, shoreline conditions, flood control, and recreation interests. They wanted to evaluate key uncertainties in support of improved operating decisions in the future. Ecofish and A-Tlegay initiated field work for most of the programs and continue to evaluate field data for each program, refining the monitoring methods as required, addressing challenging field constraints such as that experienced in the steep and dangerous Elk Falls Canyon, and ensuring statistically sound data collection is planned for the duration of the 10-year monitoring cycle.